This is the bundle of fabrics as I received it from Natalie's Etsy shop. And these are the fun fabrics I found to complete my quilt! The red fabric will be the binding and maybe a small inner border. The aqua with the little hedgehogs and red hearts will be the main border around the quilt top. And the aqua with the big happy daisies on it will be the backing. These are all Michael Miller fabrics. I had a hard time finding the Plain Jane fabric in enough yardage for the backing because I understand it's out of print now. Most places I found that carried it only had a few yards left or just fat quarters, so I lucked out finding the amount I needed in one cut, plus the other two cute red and aqua fabrics to go along with it. 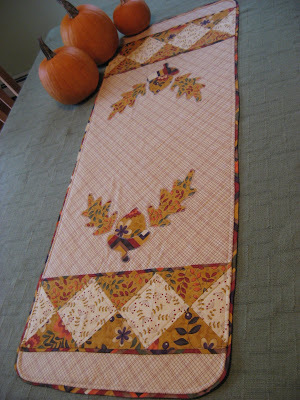 There are two other fabrics in that bundle too, but they are not for this quilt. I'll show them to you next time. I could have added up to a total of 20 yards to my order without paying any extra shipping, but I couldn't afford to do that, so I just picked out two more fabrics for a gift I'll be making later. No sense paying that extra level of shipping without getting something to make it worthwhile! Perfect, Plain Jane is what I used on the back of my first quilt. It is going to be wonderful! 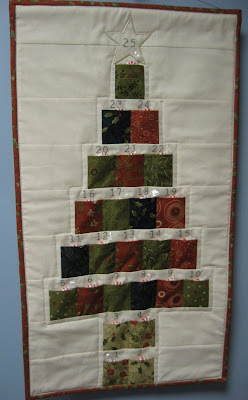 How lovely - the top fabric is my favorite - love the red and white fabrics on the aqua background. Fair warning. I'm coming to your house to steal this one when you are done. Postage Stamp Quilt ~ Finished! Crocheted Noah's Ark Blanket ~ Finished! Scrap Quilt ~ Another Longtime WIP Finished!